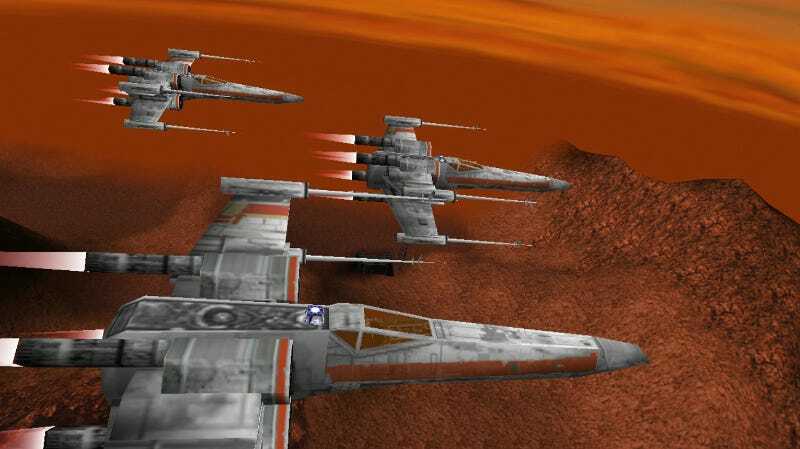 Star Wars: Rogue Squadron on the Nintendo 64 was the first game that made me feel like I was really soaring through a Star Wars movie, my X-Wing buoyed by glorious trumpets and gentle flecks of Bantha poodoo. Now it’s on Steam. The arcade-y flight game, originally released on Nintendo 64 and PC back in 1998, is now on Steam with “partial controller support,” which means Xbox controllers are functional enough after some setup. The port is passable, though it sounds like some people have been having start-up issues and some framerate choppiness. Also, YOU CANNOT ALT-TAB BURN IT ALL DOWN I mean that’s a slight downside. It’s $9.99, if you’re interested. Now then, what are your favorite Rogue Squadron moments? Share with me your treasured memories.